During the period January to June, hopeful roadsters applied for some 7,000 learners’ permits, while in July alone the number was some 4,000. Legal changes calling for fewer hours of driving lessons have seen a surge in applications for learners’ permits for private cars, officials say. During the period January to June, hopeful roadsters applied for some 7,000 learners’ permits, while in July alone the number was some 4,000. The reason for the skyrocketing interest in drivers’ licences can be traced back to new laws that took effect from 1 July, which make it easier to get a driver’s permit. For one thing, instructors no longer have to pass a theory test nor do modifications made to a learner's vehicle have to be inspected. However, cars used for training learners must still have an extra brake pedal installed on the instructor’s side. 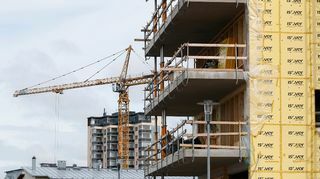 “We did expect a rise in popularity, but it was a surprise that the growth has been so huge,” said Kimmo Pylväs, a department head from the Finnish Transport Safety Agency Trafi. Trafi estimated that one-third of drivers get on the road with a learner’s permit. The legal reform could see that proportion rise, but it remains to be seen how much. One of the main goals of changing the rules was to ensure that driver’s licences would be cheaper and one way to achieve that end has been to reduce the number of hours of compulsory training. From 1 July, the time devoted to mandatory driving and theory instruction fell by nearly a half compared to before the reform. However learners will have to complete eight hours of risk training that includes four hours of theory and four hours behind the wheel, including practicing in conditions such as low visibility and on slippery roads. This means that the actual minimum amount of driving practice has fallen to 10 hours. The easing of the rules is expected to reduce the cost of getting a driver’s license from around 1,500 – 2,000 euros to about 1,000 euros. However since the number of tuition hours determines the final cost, no one is sure where prices will level out. Finland’s driving school lobby group, Autokoululiitto, said it is sceptical about the government’s price-reduction goal. The association trialled 10-hour driving tuition sessions and found that on average it required 12 hours to get learners ready for the road. “I believe that people who get a driver’s licence with 10 hours [instruction] will mostly be those who have had a moped licence and a lot of driving experience. Those who are coming to it cold will need more instruction,” said association chair Jarmo Jokilampi. The reform will also see the driving test lengthen from 45 minutes to an hour, which will in turn increase the price to 125 euros. Jokilampi pointed out that these costs have not formed part of the discussions about bringing down the cost of a permit. “It’s very likely that as the mandatory number of instruction hours declines, people will end up taking the test more than once. If that happens two or three times, then it suddenly adds a few hundred euros to the price of a driver’s licence,” he expanded. Jokilampi added that the reduction of instruction time will also see a broader spectrum of driver behaviour. He said he fears that drills like learning to drive in slippery conditions will no longer be provided as practical exercises, but will instead be conducted on simulators, which will not give learners a real feel for the experience. However Trafi was not swayed by the association’s scepticism. The agency noted that although instruction time will decrease, the reform places greater emphasis on a learner’s real skills. “If someone has driven a moped since the age of 15, then the reform ensures that he or she does not necessarily have to take compulsory lessons based on the same [general] template. In this case instruction can be better tailored based on skills and background,” Pylväs commented. The Trafi spokesman stressed that everyone can get the required amount of training, even by combining lessons from a driving school and with sessions from a recognised private instructor. He said officials expect to see an increase in the range of training options provided by driving schools. “We have to remember that there is still a training stage toward the end of the driving course and that measures the student’s skill. You have to be proficient to pass the test,” he noted.